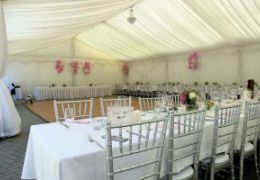 The stylish tent, built in the courtyard of the Wine House, will surely please every wedding attendee. 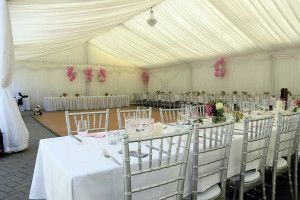 It can hold up to 100 guests and there will still be plenty of room for the dance floor. Of course the quality gastronomic services combined with thebunforgettable atmosphere of the historical building from 1736 are a part of the deal. Furthermore, there is a possibility of tent heating, if necessary.